The Society of Interventional Radiologists (SIR) opened its six-day annual scientific meeting in Austin, TX, presenting awards for outstanding achievement, research, and philanthropy. The organization’s highest honor, the SIR Gold Medal, acknowledging distinguished and extraordinary service to interventional radiology and/or the society, was awarded to three leading academic radiologists. The recipients of the SIR Gold Medal were Alan H. Matsumoto, MD; Daniel Picus, MD; and James B. Spies, MD. 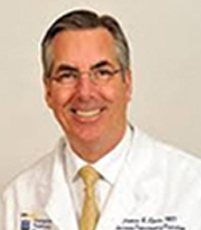 “The 2019 Gold Medalists exemplify the innovative and collaborative spirit of interventional radiology (IR) through their research, mentorship, dedication to the advancement of the quality of medicine and patient care,” said SIR president M. Victoria Marx, MD, professor of clinical radiology at the Keck School of Medicine of the University of Southern California, Los Ángeles. 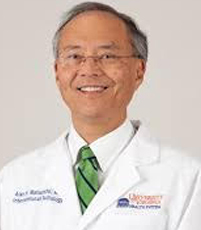 Dr. Matsumoto is chair of the department of radiology and medical imaging at the University of Virginia, Charlottesville. Since joining its faculty in 1991, he has helped train more than 200 diagnostic radiology residents and 100 vascular and interventional radiology fellows. He has published 300 articles and book chapters, given more than 300 invited and scientific talks, and served as the site principal investigator for 24 clinical trials. Dr. Matsumoto developed and ran the core lab for the trial that led to the first FDA-approved abdominal aortic stent graft in 1999. Dr. Matsumoto delivered this year’s prestigious Dr. Charles T. Dotter Lecture, which is named in honor of the founding father of interventional radiology. The annual lecture spotlights an outstanding SIR member who has greatly contributed to the field and to the society. In introducing Dr. Matsumoto, Dr. Marx said that his “commitment to patient-centered care is representative of what the future of interventional radiology will be.” Dr. Matsumoto served as the society’s president and as its program chair of the 2004 annual meeting. He has also served as an American Board of Radiology (ABR) examiner, in committee and council chair positions at the American Heart Association, and as a member of the American College of Radiology Council Steering Committee and Board of Chancellors. Dr. Picus, professor of radiology and surgery at the Mallinckrodt Institute of Radiology at the Washington University School of Medicine in St. Louis, MO, established the department’s interventional radiology section, and also served as the division chief for diagnostic radiology for many years. A prolific author, Dr. Picus has written more than 130 peer-review journal published articles and many textbook chapters. Dr. Picus delivered the 2013 Dr. Charles T. Dotter Lecture, and also has served in many leading editorial capacities for the SIR newsletter and the Journal of Vascular and Interventional Radiology. He is a member of the American Medical Association’s Current Procedural Terminology (AMA CPT) editorial panel. Dr. Spies, professor of radiology at Georgetown University School of Medicine, also chairs the department of radiology at MedStar Georgetown University Hospital in Washington, D.C. An international authority on uterine artery embolization (UAE) for fibroids, Dr. Spies maintains an active UAE clinical practice and conducts extensive research in this field. He has published more than 100 scientific studies and given more than 400 invited presentations. In addition to serving as a trustee of the ABR for interventional radiology since 2016, Dr. Spies served as the society’s president and as chair of the SIR Foundation chair from 2006–2008. John Abele, an early pioneer and leader in minimally invasive medicine, and cofounder and director of Boston Scientific Corp., received the Frederick S. Keller, MD, Philanthropy Award from the SIR Foundation. An honorary fellow of SIR, Abele is only one of three non-physicians to be presented with the SIR Gold Medal, in 2005. His major interests include science literacy for children, education and the process by which new technology is invented, developed, and introduced to society. From 2002 to 2010, Abele served first as chairman, and now as vice chairman of the FIRST Foundation, sponsor of robotics competitions for young children and teenagers. William Cook, founder of Cook Medical of Bloomington, IN, a medical device manufacturing company with products for 41 medical specialties, was posthumously bestowed with the SIR Foundation’s Leaders in Innovation Award. Etay Ziv, Md, PhD, of Memorial Sloan Kettering Cancer Center in New York City, received the Dr. Gary J. Becker Young Investigator Award. Dr. Ziv has built a research program emphasizing a precision medicine approach in interventional radiology. 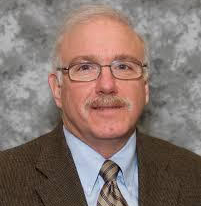 His special focus has been on developing a vision of personalized medicine within the treatment of neuroendocrine tumors, which ultimately seeks to propel IR from post-treatment correlations to pretreatment prediction and finally to the rational design of adjuvant therapies. SIR honors outstanding interventional radiologists at 2019 meeting. Appl Radiol.